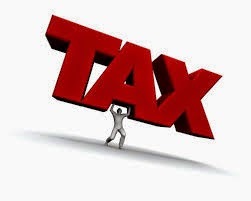 There is an exemption that people suffering from certain chronic diseases are given in their tax in India. It is under Section 80DDB. This is a very thoughtful gesture on part of the government. Anyone who spends money for the treatment of the diseases identified (the list includes Chronic Kidney Failure) for either self, spouse, sibling, offspring or parents is eligible for this deduction. The overall theme is the money you spend on treatment of such diseases should definitely not be taxed. The limit on this exemption is Rs. 40,000 per year. This is in addition to the Rs. 15,000 for medical expenses that the general public is offered. I am not sure when this section was introduced to the Tax Code but what I can say for sure is that the limit is really ridiculous in this day and age. Rs. 40,000 a year for a chronic disease?! Heck, most people spend that much in a couple of months! The Government of India hardly does anything to make the life of people with a chronic condition better. In comparison to countries that either completely bear the cost of healthcare like Australia, the UK and Canada, India hardly provides any help to her sick. Some states in the country are getting better with programs such as Aarogyasri but on paper, these programs provide help only to people who are extremely poor. Anyone who knows anyone with a chronic disease knows that even a year or two of living with the disease can wipe out an entire family's savings. This disease hits middle and upper income classes badly as well. There is no relief offered by the government to such people. In this scenario, what can be worse than to tax the money spent to treat the chronic disease. Imagine someone who earns Rs. 50,000 a month and say, spends Rs. 20,000 on the treatment of the disease. That Rs. 20,000 is also being taxed! What can be more unreasonable than this? It is really important for the Finance Minister to realise this gross injustice and do something immediately to correct this. Yes, in India, the possibility of misusing this could be there. That does not mean you deprive those who really need this benefit from getting it. Find ways and means to check misuse. I am sure this can be done. Insist on original bills, a doctor's prescription, whatever it takes. But correct this discrepancy. I am fully appreciative that we have this section. Conceptually, it is really great. However, in practice, the limit renders it quite meaningless. Remove all limits. Let the tax exemption be on actuals. Whatever be the amount. We absolutely need something like this from the new Government. Let people suffering from chronic conditions also see some 'acche din', please! Is this too much to ask? Thanks Kamal for this post. I agree totally that the limit of deduction must be increased across all income levels. Immunosuppressant's are so costly. Some major change needs to take place.